Are you frustrated by life? Do you wish other folks were less annoying, rude, obnoxious or disappointing? Do you spend time dreaming about being somewhere else other than where you are right now? Do you wish at times you were someone else? 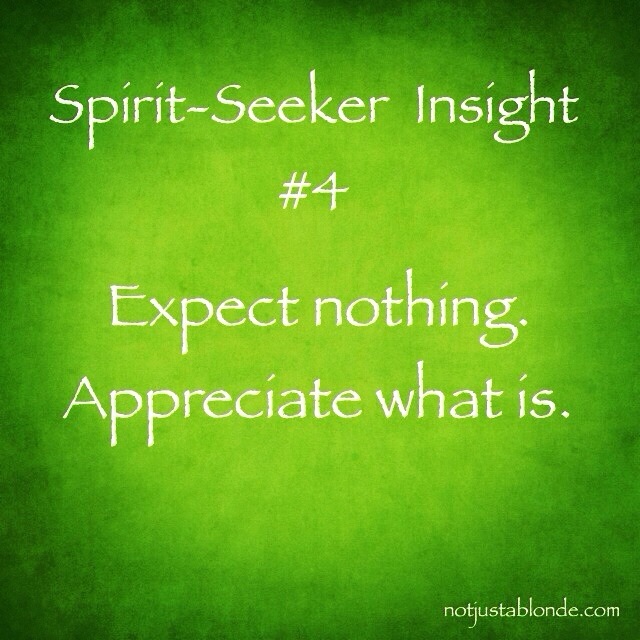 Yet, we set ourselves up for disappointment and frustration when we expect too much from others or even ourselves. We define how things need to be before we are okay… but the dream can never be obtained! Focusing on things other than as they are keeps us from appreciating the good things we DO have! By continuing to focus on what we wish we had we are blocked from enjoying all the blessings we have in the Here and Now! Looking at every person and in every situation for the positive and the good will bring with it more satisfaction and peace! Peace often comes from letting go of all of our expectations and by truly appreciating what is. This is so true. I remember several times, in my early teens, saving up pocket money for a long time to buy something that seemed desirable. However, when I bought them, they never seemed to give me any happiness. On the other hand, they taught me to save money, so I now have some savings set by in my coming retirement. God certainly works in mysterious ways! God led me to link this topic with things that He has shown me regarding the human condition, since it is the lack of inner peace that causes some people to become driven, trying to win love from those close to them (parents who have not shown them enough love during childhood) and it is these very people whom the world considers to be the achievers in life. These are the politicians, the founders of dynasties, the heads of industry, the revolutionaries, the actors and the radical engineers. Oddly, we need them, or there would be no progress, for good, or for ill, and this is one of the reasons that God gave us free will: so that the world will progress towards His goals. Even so, He is in control, as He sees all things from beginning to end, so even when people act against His preferences, the net result will be outworked as He wills it. His will is being done, whether we work with Him or against Him. VERY interesting concept. So, God’s Will is being done no matter what, whether we submit or not? What is the benefit then if any of seeking Him and submitting to His Will for us? The benefit of our being able to submit to His will is that God can then do things directly, rather than indirectly via several other actions, by ourselves and/or others. This can be thought of as our doing His specific will, rather than His general will being done. There is also the benefit of knowing that we are doing His will, because this is how we can show to Him our love for Him.